I admit it…Halloween is my favorite holiday. Even more than Christmas. Since I’ve helped out with Halloween parties and done plenty of Halloween dishes, I have quite a few free Halloween printables for you. Enjoy! • Print options: regular paper works, but you can also use glossy photo paper or card stock, depending upon the use. 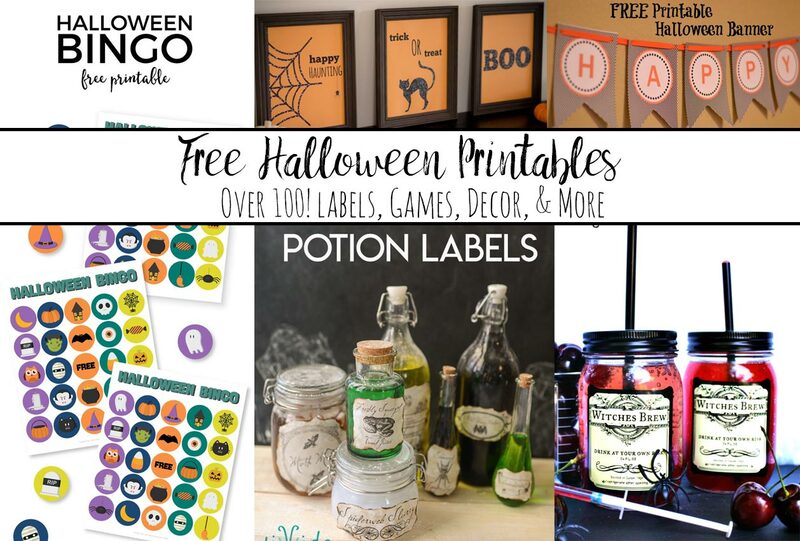 I did a round-up post of “Free Halloween Printables: Over 100 Free Printables.” It includes decor, banners, wall art, food, treats, coloring pages, activities, and more! 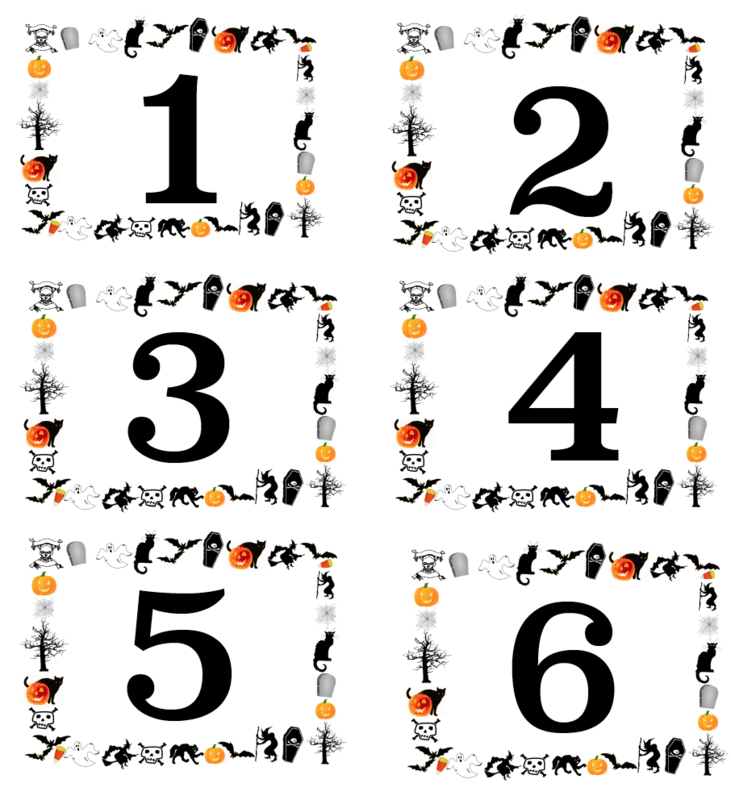 This pdf includes 8 labels of different sizes on a slate background. 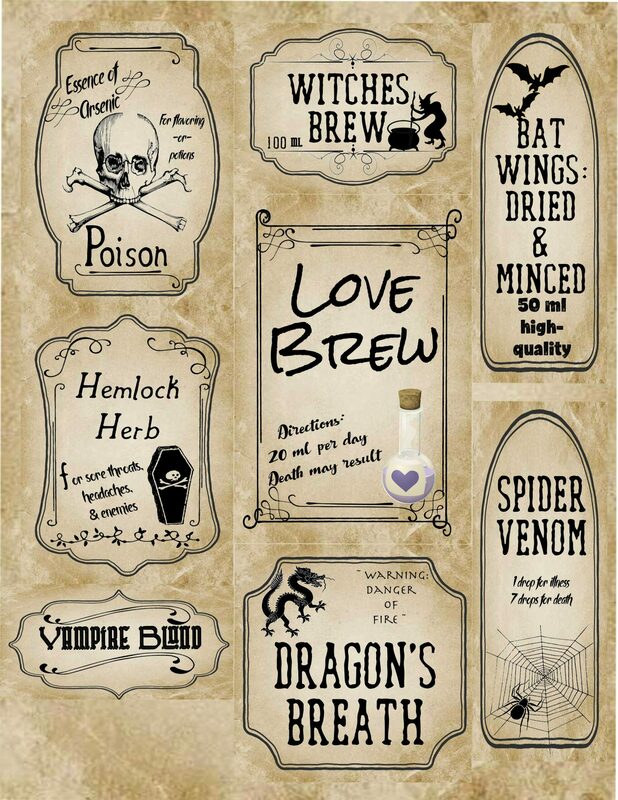 Essence of Arsenic, Witches Brew, Hemlock Herb, Vampire Blood, Love Brew, Dragon’s Breath, Bat Wings, and Spider Venom. Different designs for each. 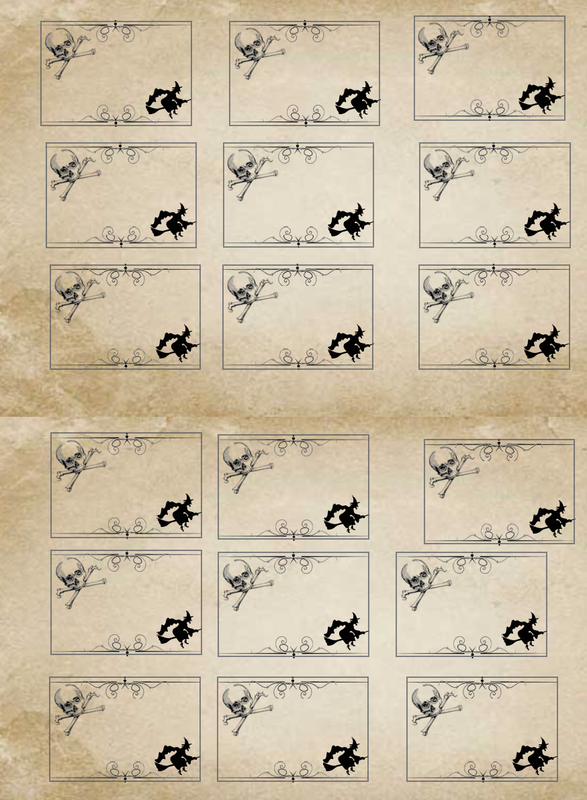 This pdf includes 8 labels of identical size on an antique gray background. 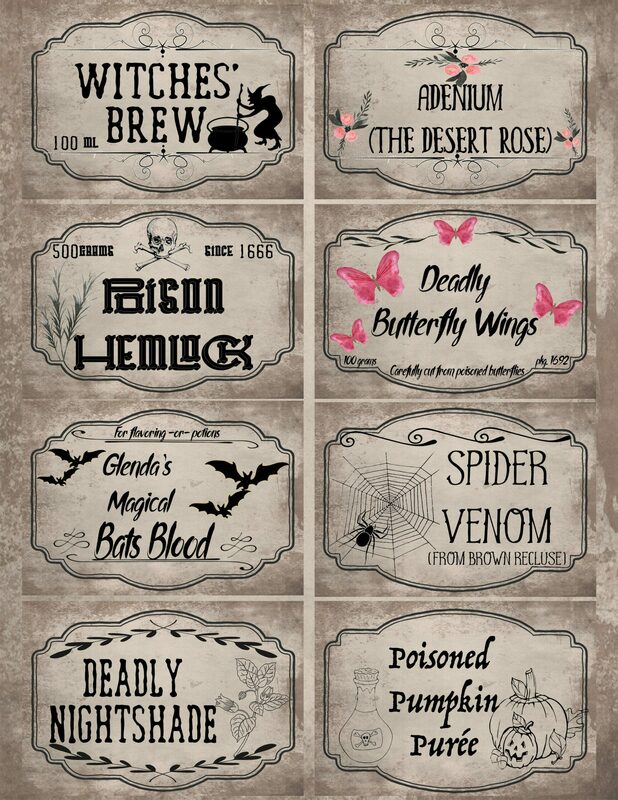 Witches’ Brew, The Deadly Rose, Poison Hemlock, Deadly Butterfly Wings, Glenda’s Magical Bats Blood, Spider Venom, Deadly Nightshade, and Poisoned Pumpkin Puree. 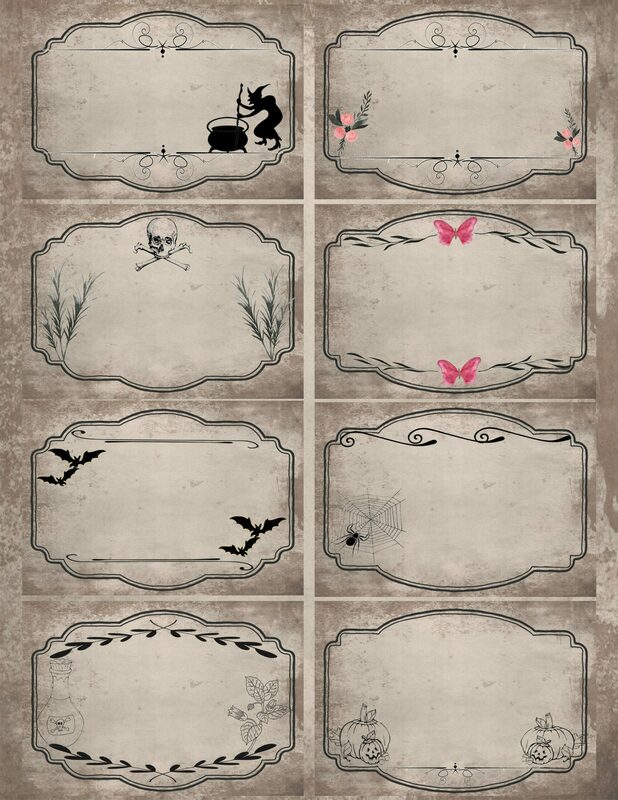 This pdf includes 8 blank labels of identical size on an antique gray background. They are very similar to the ones above (some slight adjustments), but without words. Fill out as needed. Spooky house on a hill. 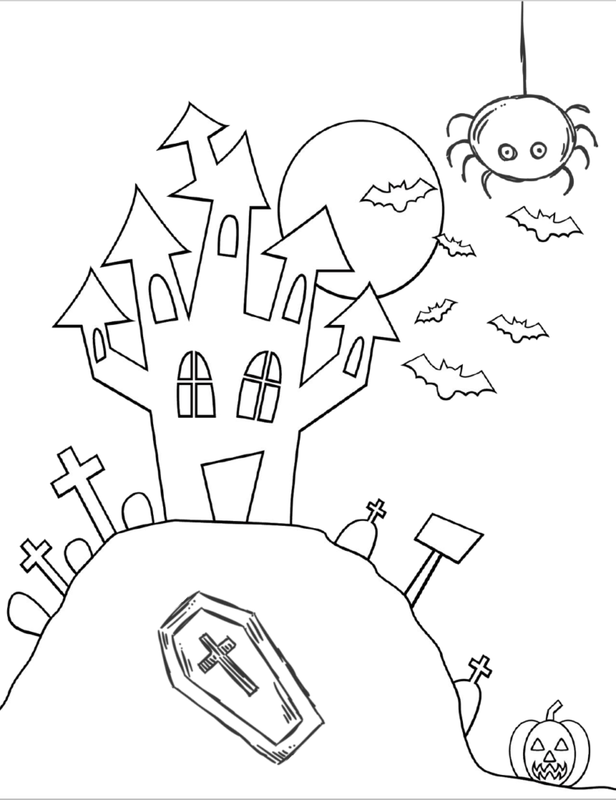 Halloween Coloring Page1 <<<<click there to download. 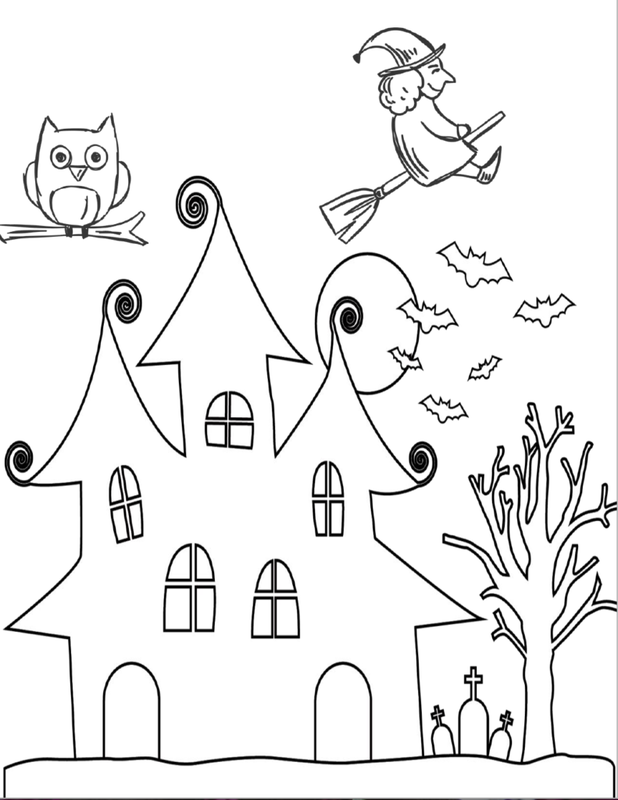 Spooky house with a flying witch and creepy owl. 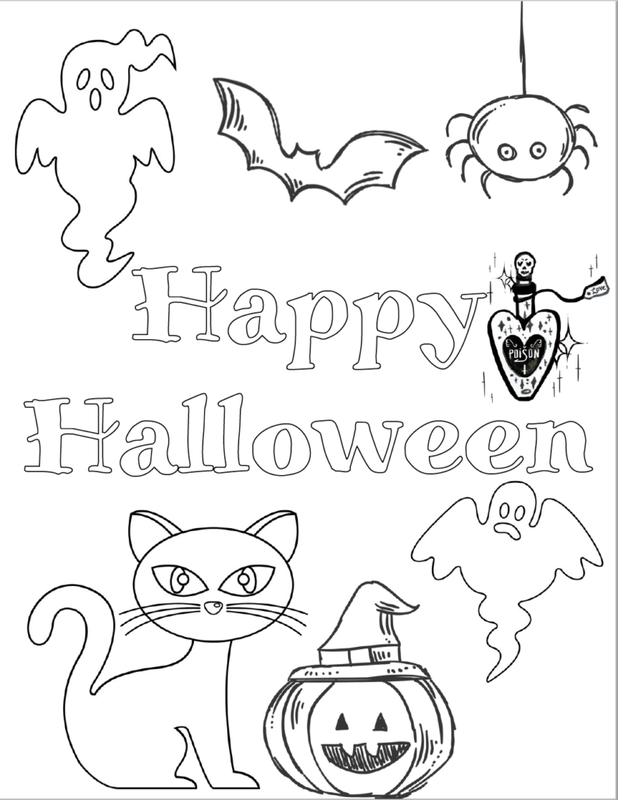 Halloween Coloring Page2<<<<click there to download. Boo! House with ghosts. 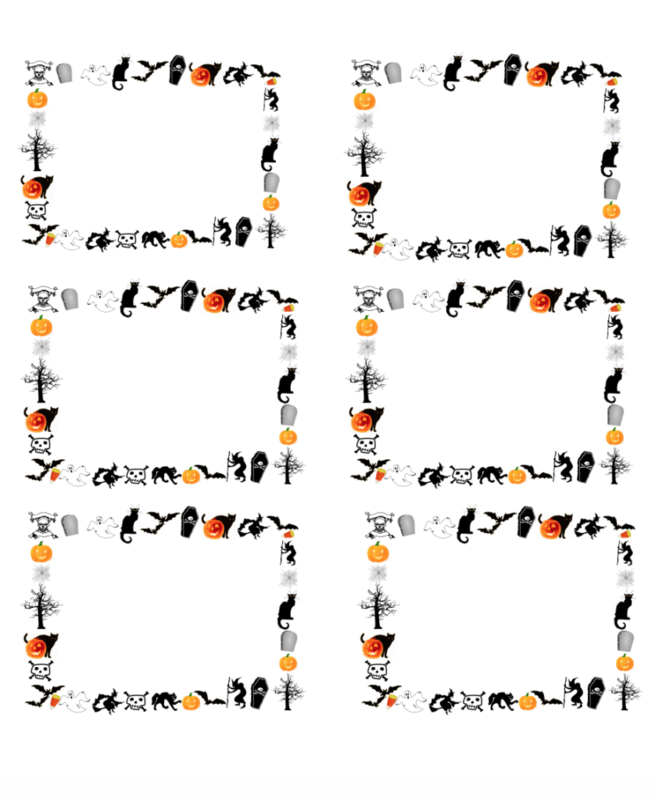 Halloween Coloring Page3<<<<click there to download. Happy Halloween montage of Halloween images. Halloween Coloring Page4<<<<click there to download. 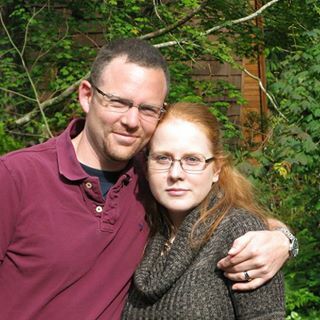 This is my favorite of the bunch, though not “technically” Halloween. 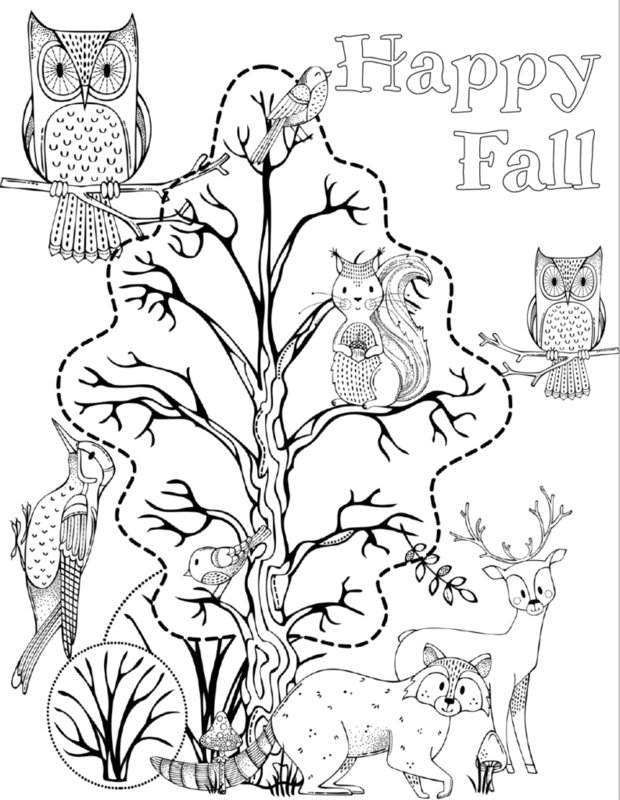 Happy Fall with intricate animals to color! 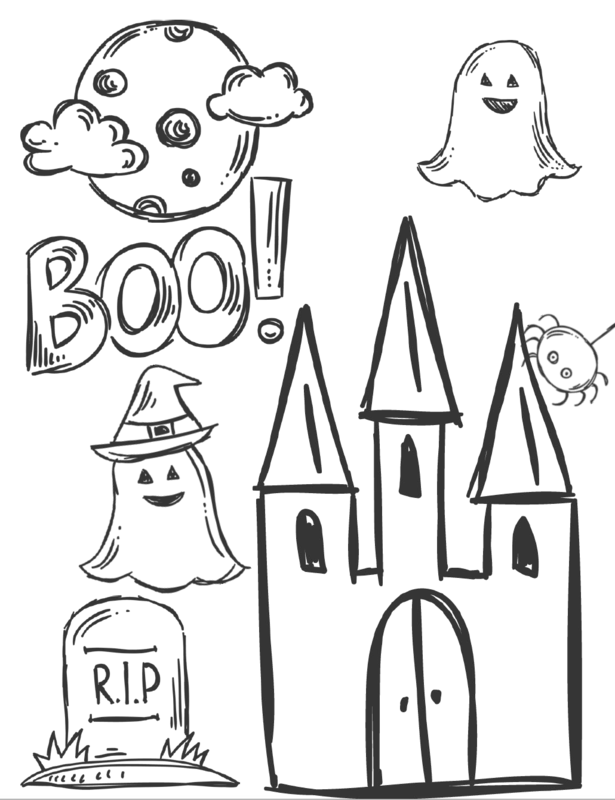 Halloween Coloring Page5<<<<click there to download. 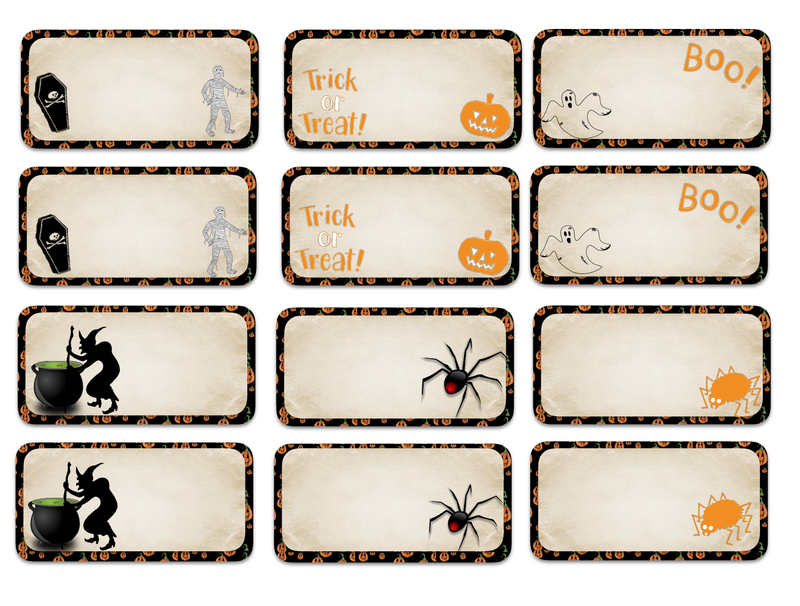 These are 2″ by 1″ labels. These are fairly small, and I don’t use them a lot. But they’re cute and food for labeling small dishes or crowded sections. 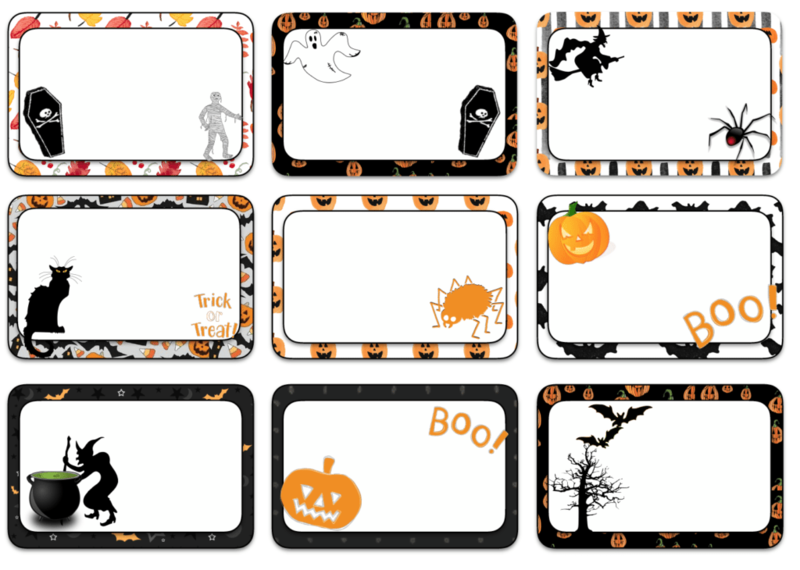 These are 3″ by 1 & 1/2″ labels. These are the ones I used on my edible Halloween landscape above. These are 3″ by 2″ labels. These have the most room for writing in case you want to write descriptions of the dish. There are 9 different designs! The “blanks” are in their own file. The reason I did this is because I’ve often printed off 10 or 15 copies of the blanks page by itself!